Welcome to the 7th year of the Australian Women Writers Challenge! The challenge will run from Jan 1 – Dec 31, 2018. You can sign up throughout the year till 30 November 2018. If you’re already familiar with the challenge and its aims, jump to the sign-up form below. Otherwise, read on. Please start by following the AWW blog via email, if you aren’t already following. Feel free to comment on AWW posts throughout the year – this encourages our volunteers and helps to create a sense of community. Also, if you’re on Facebook, consider joining our new Facebook group. (We’re hoping to create something more interactive than the current AWW Facebook page.) You can also join our Goodreads group and follow us on Twitter @auswomenwriters. If you want to read only, rather than review, simply nominate the number of books you plan to read throughout the year and share your reading on social media as you can. I know a number of authors who mini-blog on Twitter. 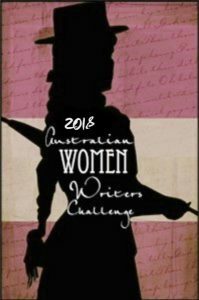 It all helps spread the word about our talented Aussie women writers.